Can a game with a name as funny as pickleball really be serious? You bet. The Sports & Fitness Industry Association reported in 2016 that the U.S. has more than 2.5 million pickleball players. This makes it one of America’s fastest-growing sports. It’s become a game of choice for adults over age 55 because it’s easier on the knees and more casual than tennis, offers great exercise, suits all ages and is super-social. 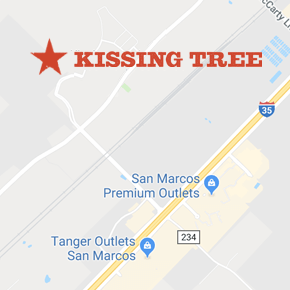 That’s why Kissing Tree is building 18 courts at The Mix! But what in the heck is pickleball, and what’s the story behind it? As the story goes, weekend neighbors Joel Pritchard, Bill Bell and Barney McCallum invented pickleball in 1965 to pacify their bored children on Bainbridge Island, Washington. They used what they had handy – a badminton court, a ping-pong paddle and whiffle ball – and made up the rules as they went along. Soon, the adults were hogging the court. McCallum thinks they may have named the game for Pritchard’s dog, Pickle, who chased the balls. After Pritchard (a former U.S. Congressman) recommended the game to a friend from the New York Times, a new sports business was born! Here’s a breakdown of the game, along with some pointers and tips to make sure you’re ready to get down on the court. The game is played on a badminton-sized court (20’ x 44’), with paddles and plastic balls that have holes (adapted from ping-pong). The only “uniform” is a comfortable pair of tennis shoes with flat, durable and non-marking soles that provide stability for side-to-side movement. A game lasts 10 to 25 minutes, although we’re pretty sure you won’t be able to stop with just one. You can play singles, doubles or mixed doubles. Only the serving side scores points, and the first side to score 11 points and lead by at least two points wins. Servers swing their paddles underhanded, below waist level, to land balls diagonally across the court. The receiver has to let the served ball bounce once before it’s returned, and the server has to let the first return bounce once, before the ball can be volleyed or played off the bounce. Faults are made when the ball touches the non-volley zone on the serve, goes out of bounds, does not clear the net, is volleyed from the non-volley zone, or is volleyed before a bounce has occurred on each side. At the end, players share a “good game” gesture at the net by tapping their paddles together. From the very beginning, the pickleball culture was about fun and friendship. We can’t wait to bring Kissing Tree residents together for our big Pickleball Grand Opening Event September 29-30! RSVP today, and find out why Hill Country-style pickleball is kind of a big dill!